New inflation numbers were just announced at BLS.gov, which allows us to make an early prediction of the May 2019 savings bond rates a couple of weeks before the official announcement on the 1st. 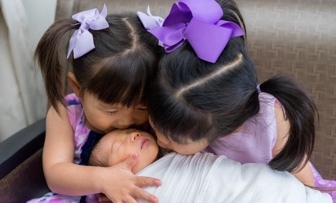 This also allows the opportunity to know exactly what a April 2019 savings bond purchase will yield over the next 12 months, instead of just 6 months. Buying in May 2019. If you buy in May 2019, you will get 1.40% plus a newly-set fixed rate for the first 6 months. The new fixed rate is unknown, but is loosely linked to the real yield of short-term TIPS. In the past 6 months, the 5-year TIPS yield has dropped from 1% to about 0.5%. My best guess is that it will be 0.20%. 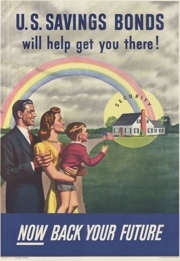 Every six months, your rate will adjust to your fixed rate (set at purchase) plus a variable rate based on inflation. 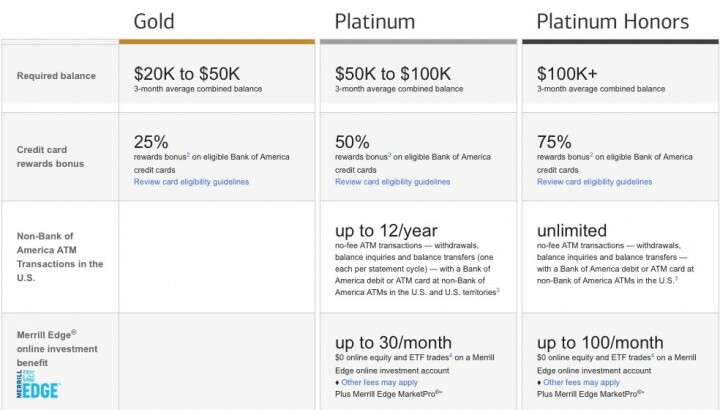 I’m never really sure what to call it, but Marcus (formerly Goldman Sachs Bank) is offering a $100 bonus if you deposit $10,000+ in new funds into their online savings account within 10 days of enrollment at this special offer page. You must enroll by 11:59pm EST on 3/18/19 and maintain the new $10,000+ deposit for 90 days. They will deposit $100 into your account within 14 days, after those 90 days (got it?). Both new and existing customers are eligible, which is nice. Offer available to new and existing customers. Each customer is limited to one bonus offer, which can only be applied to a single account. For eligibility purposes, each joint owner will be treated as a separate customer. For example, if you apply the bonus offer to a joint account, the remaining joint owner(s) may apply this offer to another account they own if they have not done so already. Offer not available to customers who are currently enrolled in a different bonus offer on an existing savings account. […] The bonus will be treated as interest for tax reporting purposes. Basically a 1% bonus on $10,000 if you keep it there for 90 days, which makes it roughly 4% APY annualized. The bonus is on top of the standard interest rate, currently 2.25% APY as of 3/10/19. This combination makes it a great 3-month rate at that balance size when compared to my last monthly update of best interest rates. Here’s my monthly roundup of the best interest rates on cash for March 2019, roughly sorted from shortest to longest maturities. Check out my Ultimate Rate-Chaser Calculator to get an idea of how much extra interest you’d earn if you are moving money between accounts. Rates listed are available to everyone nationwide. Rates checked as of 3/4/19. Purepoint Financial has a 13-month No Penalty CD at 2.60% APY with a $500 minimum deposit. Marcus Bank 13-month No Penalty CD at 2.35% APY with a $500 minimum deposit, Ally Bank 11-month No Penalty CD at 2.30% APY with a $25k+ minimum, and CIT Bank 11-month No Penalty CD at 2.05% APY with a $1,000 minimum. No Penalty CDs offer a fixed interest rate that can never go down, but you can still take out your money (once) without any fees if you want to use it elsewhere. You may wish to open multiple CDs in smaller increments for more flexibility. Hyperion Bank has a 13-month CD at 3.20% APY ($500 minimum) with an early withdrawal penalty of 3 months of interest. Vanguard Prime Money Market Fund currently pays an 2.46% SEC yield. The default sweep option is the Vanguard Federal Money Market Fund, which has an SEC yield of 2.34%. You can manually move the money over to Prime if you meet the $3,000 minimum investment. The PIMCO Enhanced Short Maturity Active Bond ETF (MINT) has a 2.87% SEC yield and the iShares Short Maturity Bond ETF (NEAR) has a 2.93% SEC yield while holding a portfolio of investment-grade bonds with an average duration of ~6 months. 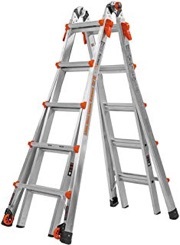 You can build your own T-Bill ladder at TreasuryDirect.gov or via a brokerage account with a bond desk like Vanguard and Fidelity. Here are the current Treasury Bill rates. As of 3/4/19, a 4-week T-Bill had the equivalent of 2.44% annualized interest and a 52-week T-Bill had the equivalent of 2.54% annualized interest. The Goldman Sachs Access Treasury 0-1 Year ETF (GBIL) has a 2.30% SEC yield and the SPDR Bloomberg Barclays 1-3 Month T-Bill ETF (BIL) has a 2.21% SEC yield. GBIL appears to have a slightly longer average maturity than BIL. Hyperion Bank has a 19-month CD at 3.50% APY ($500 minimum) with an early withdrawal penalty of 6 months of interest. Mountain America Credit Union has the following certificate rate: 2-year at 3.25% APY 3-year at 3.35% APY, 4-year at 3.25% APY, 5-year at 3.51% APY ($500 minimum deposit). MACU can be joined via a partner organization for a one-time $5 fee, usually right on the online application. Note: The 2-year and 3-year certificates have an early withdrawal penalty of 180 days of interest, and the 4-year and 5-year certificates have an early withdrawal penalty of a full year (!) of interest. You can buy certificates of deposit via the bond desks of Vanguard and Fidelity. These “brokered CDs” offer FDIC insurance and easy laddering, but they don’t come with predictable fixed early withdrawal penalties. As of this writing, Vanguard is showing a 2-year non-callable CD at 2.60% APY and a 5-year non-callable CD at 3.00% APY. Watch out for higher rates from callable CDs listed by Fidelity. Willing to lock up your money for 10+ years? You can buy long-term certificates of deposit via the bond desks of Vanguard and Fidelity. These “brokered CDs” offer FDIC insurance, but they don’t come with predictable fixed early withdrawal penalties. As of this writing, Vanguard is showing a 10-year non-callable CD at 3.25% APY. Watch out for higher rates from callable CDs from Fidelity. Matching the overall yield curve, current CD rates do not rise much higher as you extend beyond a 5-year maturity. How about two decades? Series EE Savings Bonds are not indexed to inflation, but they have a guarantee that the value will double in value in 20 years, which equals a guaranteed return of 3.5% a year. However, if you don’t hold for that long, you’ll be stuck with the normal rate which is quite low (currently a sad 0.10% rate). I view this as a huge early withdrawal penalty. You could also view it as long-term bond and thus a hedge against deflation, but only if you can hold on for 20 years. As of 3/4/19, the 20-year Treasury Bond rate was 2.93%. All rates were checked as of 3/4/19. Orion Federal Credit Union (FCU) has a Premium Checking account that offers 4% APY on balances up to $30,000 if you meet certain direct deposit and debit card transaction requirements. However, if you don’t meet the requirements, you’ll get basically no interest and be charged a monthly fee. Their membership requirements are now open nationally, which is newsworthy. Thanks to reader Bill for the tip. Details below. Volunteers for Orion Gives Back organizations are eligible for membership in Orion. You can qualify as a volunteer fundraiser simply by choosing an organization and asking us to make a $10 donation. Yes, you read that right – they will even make the donation for you. Choose from Habitat for Humanity Greater Memphis, Hope House, Porter-Leath, Ronald McDonald House, and Wolf River Conservancy. Note that the application states that you will need your Social Security number and Driver’s License number. In addition, reader Bill reports that they will perform both a ChexSystems inquiry and a hard credit check through Equifax. 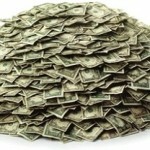 Electronic deposits totaling at least $500 per month. Electronic deposits include: direct deposit, mobile deposit, and electronic transfers from another financial institution. Perform at least 8 signature-based card transactions per month. When using your card, choose the credit option and bypass using your PIN. Note that amounts in excess of $30,000 will only earn 0.05% APY. If you meet these requirements, there is no monthly fee. If you don’t, then there is a $5 monthly fee and your rate goes down to 0.05% APY. It is nice that the deposit requirement is not restricted to “payroll direct deposits”. You can set up an automated monthly transfer from another bank account. Good deal? In my opinion, the relatively easy requirements, high interest rate, and moderate qualifying balance make this the best nationally-available “Reward Checking” account currently available. (“Rewards Checking” = requires a minimum number of debit card transactions + other activity each month.) While it is indeed a solid offer, the main question is how long it will last. At the same time, I will not be joining. First, I don’t like accounts where I have to keep jumping through hoops (that I can’t easily automate like CIT Savings Builder) without being hit by a penalty of lost interest and a monthly fee. Second, I have gone ahead and opened accounts like this in the past, only to have them shut down shortly thereafter. I am concerned that this account won’t last longer than 6 months from today. I’d rather open a credit union CD where I know the rate is guaranteed for a fixed period (i.e. past offers from Andrews FCU, Sharonview FCU, and Garden Savings FCU, etc.) These certificates just keep earning interest each month and I don’t have to do anything at all. Bottom line. Orion FCU has opened up their Premium Rewards checking account to anyone nationwide. You can get 4% APY on balances up to $30,000 if you meet certain direct deposit and debit card transaction requirements. However, if you don’t meet those requirements, you will earn virtually no interest and be subject to a $5 monthly fee. If this interests you, I recommend creating a reliable system where you satisfy the requirements early on in the month. I recently joined the NASA Federal Credit Union to take advantage their current certificate rate specials (as mentioned in my monthly list of best interest rates). NASA FCU has had some good specials over the last year or so, and I finally decided to go through the extra effort to open an account last week since I had some funds available. Here are my notes on the application and certificate opening process that might be helpful to others. Free and instant! Just click the proper option during the application process. Application process. You will need to provide the usual personal information – name, address, SSN, driver’s license, etc. I uploaded a scanned image of my driver’s license. They also asked a few identity verification questions, I believe based on my Experian credit report. Note: Based on online reports, I was expecting that applying for account would result in a hard credit inquiry, likely to my Experian credit report. This tends to be common practice amongst credit unions. However, it has been a week since my application and none of my credit monitoring services (which covers all 3 bureaus) have indicated that a credit check was done, including the one that tracks Experian. It might show up later, but nothing so far. My account was approved later in the same day as my application. I also read some online reports about NASA FCU asking for additional documentation (i.e. Social Security card), but I was not asked for anything additional. Tip: When you get the account approval e-mail, you need to open up the secure message to see your new NASA FCU account number. Write down this number as it is the account number of your share savings account. Initial funding. As with nearly all credit unions, you must fund a share savings account with at least $5 and keep the $5 there. I was given the option to fund with credit card (up to $500) or bank account. I tried to fund it with $500 from a rewards credit card (to get some cash back), but the transaction was rejected. I’m not sure if it was because it was trying to go through as a cash advance, or some other reason. I later funded it with a bank account instead. Day 1 – Started application and got approval. Initiated link via Ally Bank. Day 2 – Verification deposits arrived at NASA FCU. Verified link via Ally Bank. Initiated transfer. Day 3 – Funds arrived at NASA FCU. Used Live Chat to fund certificate. Day 4 – Certificate open and funded. The share certificate now shows up on my online banking page, right next to the share savings account. I didn’t have to mail in anything, like a signature card. I hope that NASA FCU keeps up their trend of offering top certificate rates. Update April 2019: I have been having trouble with getting Empower to pay their promised 4.30% APY by referring others. I would not recommend them as a bank replacement at this time. They do have have any phone number for customer support and I’ve been waiting on a reply from their text-based support for 6 days now. I don’t like that there is nobody to talk to immediately if there is an important problem. I will update if this improves. Interest rate is now up to 2.15%/4.30% APY. 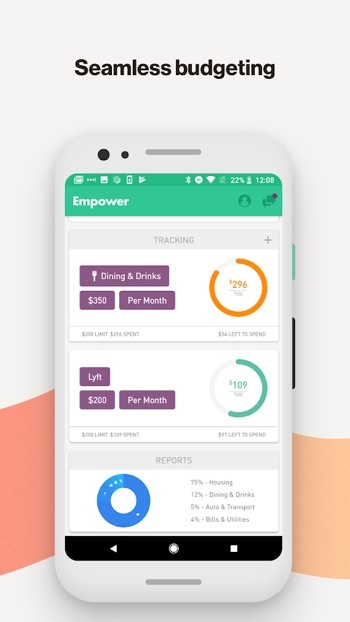 The Empower app is a combination of an online checking/savings account and an “AI” assistant that analyzes your income and spending activity from external bank accounts as well. The savings account currently offers a base 2.15% APY and the checking offers 1% cash back on the first $1,000 in debit card purchases each month. A newly referred user can get a 30 day boost of double those numbers – 4.30% APY and 2% cash back. You can get an additional 30-day boost for each friend that you refer. I’ve had this account open for a week now, and here are my thoughts. Application process (App-only). You must do everything in the iOS or Android app – initial application, funding, transfers, etc. They require all the usual bank things like SSN, but they explicitly state that they will not run a credit check. I don’t believe there is a web browser interface at all. Everyone who opens an account gets both a checking and savings account, plus the digital assistant. Note that when you link an external bank account, the digital assistant will parse through your historical and ongoing transactions and look for ways to save you money. You can easily turn it off, but this may affect the choice of what bank account you wish to link. 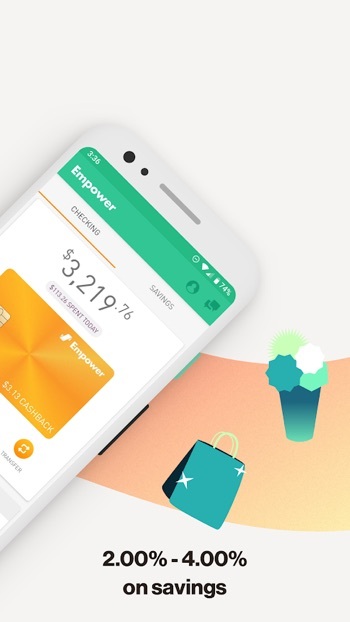 Empower Checking has no minimum balance, no monthly fees, no overdraft fees, and free ATM withdrawals from the 25,000 ATMs in the MoneyPass network. In addition, they will reimburse you for one (1) out-of-network ATM transaction each month. I like this last feature as I only take cash out of an ATM about once a month. They give you your debit card number immediately, but will send you a physical Visa debit card as well. This is a “real” FDIC-insured bank, with deposits insured of up to $250,000 per titled account through Evolve Bank & Trust, FDIC certificate number #1299. The routing number provided in the app is that of Evolve Bank. You can use the routing and account numbers to link your Empower account to other online banks (on their side) without giving Empower access to your transaction history. The linked debit card offers a base 1% cash back on the first $1,000 in purchases spend each month. Newly referred users get a 30-day boost to 2% cash back, and each time you successfully refer someone to Empower, you will receive another 30-day boost. Debit card purchases have no foreign transaction fees. Empower Savings has no minimum balance and no monthly fees. The current base interest rate is 2% APY. Newly referred users get a 30-day boost to 4% APY (capped at a $50,000 balance), and each time you successfully refer someone to Empower, you will receive another 30-day boost. You can transfer money between checking and savings instantly, but the savings account is still subject to the federal law limiting withdrawals from savings to six (6) times per month. You earn 30 days of boost for each referred friend that opens an Empower bank account and deposits at least $10. Your boost will start the first day the funds clear into your referred friend’s account. If you are already receiving a boost, your boost for any subsequent qualifying referrals will start once any prior boosts conclude. (i.e. invite 3 friends and your can earn three consecutive 30 day boosts). Your referred friends each get a 30 day boost starting the day their deposit of $10 or more clears into their Empower account. During each 30-day boost, each person will earn an additional 1% cashback on the first $1,000 of their debit card transactions during the boost period and an additional 2% per annum Cash Reward on up to $50,000 of savings account balance. The 2% per annum Cash Reward is in addition to the 2.00% APY that is paid on Empower savings accounts. Boost rewards are paid out at the end of each boost period. Invite friends by logging in to your Empower app and sending an invite SMS to your friends. The phone number you text must be the same phone number that your friend signs up for Empower banking with to be eligible. The invited friend cannot be an existing or previous Empower banking customer, nor can they have been invited by someone else in the past. If you would like a referral, send me the cell phone number you will sign up with via my contact form. I will only use your information for this purpose. You can then refer your own friends. My experience. Empower feels like the future. Everything is done via app, and it’s kind of creepy. (Yup, that’s my view of the future. Apps and kinda creepy.) The user interface is smooth and I actually like that part. Once you link your external bank, it immediately scans your transactions and points out ways to save money (“You need a new insurance quote! Your premium of $1,234 is too high!” or “Cancel this subscription!”). You may love this feature, or not. My bet is that the megabank apps from Chase, Bank of America, and Wells Fargo will all do this type of stuff eventually. In the end, I don’t see anything drastically new that would make me recommend this app on an ongoing basis unless you had a lot of friends that want a new bank. Lots of online checking accounts offer ATM reimbursements now. 2% APY is common across online savings accounts. The 1% cash back on debit card purchases isn’t that special. Now, if you did have 12 friends to refer (and $50,000), you could get 4.30% APY on up to $50,000 for a year. That’s an extra $1,150 in annual interest as compared to 2% APY, nothing to sneeze at. You could treat also the initial 30-day boost as a sign-up incentive if you had enough money to move over. If you did have $50,000 and you got an extra 2% APY for 30 days, that would be about $82 in extra interest (plus $82 from the base 2% APY for a total of $164 of interest). It tells you very clearly how much days of “boost” you have left. Bottom line. 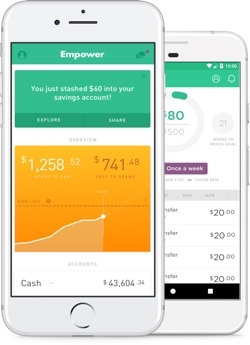 Empower.me is a new fintech banking app that combines a no-minimum checking account, a no-minimum savings account, and AI financial assistant that analyzes your spending and makes suggestions. The savings account currently offers a base 2.15% APY and the checking offers 1% cash back on the first $1,000 in debit card purchases each month. The feature that makes it noteworthy is that a new user can get a 30 day boost of double those numbers – 4.30% APY and 2% cash back – for each friend that they refer to open a new account. Deposit at least $25,000 by 2/18/19 to earn a $200 bonus. Thanks to reader Jared for the tip. If the link above stops working, here is a similar offer expiring 1/31/19 with promo code SAVE119E1. The Discover Online Savings Account has a current interest rate of 2.10% APY as of 1/21/19, which is a competitive rate although the highest available is currently 2.45% APY. There are no minimum balance requirements and no monthly fees. Interest is compounded daily and paid monthly. If you deposit the minimum amount of $15k, the $150 bonus is effectively another 1% of your initial deposit. The $200 bonus on $25,000 deposited is a lower percentage, but still pretty good. There is no fixed minimum time period where you have to keep the money there after getting the bonus, so your effective ROI can be quite high. Keep in mind that you must still have an open account for the bonus to post. Offer not valid for existing or prior Discover savings customers or existing or prior customers with savings accounts that are co-branded or affinity accounts provided by Discover. Account must be open when bonus is credited. Bonus will be credited to the account by 3/4/19. Bonus is considered interest and will be reported on IRS Form 1099-INT. Offer may be modified/withdrawn. I already have a Discover bank account that I tried out in exchange for a previous bonus. I did not experience a hard credit pull. The rates are decent but given their limited feature set there is usually another similar savings account that is higher, so I only keep it open in case something good comes up in the future. I only keep $5 in there with a $5 transfer once in a while so they don’t close it without notice. Bottom line. The Discover Savings account is a simple, barebones piggy-back* savings account with no minimum balance and no monthly fees. The rates are historically competitive but rarely the highest. With no monthly fees, this is a relatively low-risk bonus if you have the funds available and have never had a Discover bank account before. Note that the bonus is considered taxable interest.